Recently Ashanti & Ja-Rule reunited for a new record entitled "Helpless" that is on the new Hamilton mixtape. The former Murder Inc. signee's performed the song live on Showtime At The Apollo for the re-launch of the legendary show. 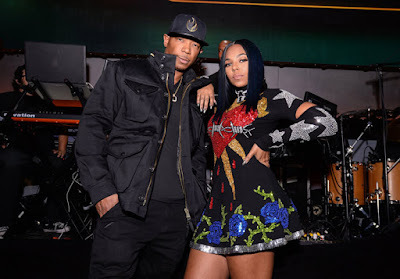 Ashanti entered the stage in a colorful sequined detailed dress as she sung the lyrics of the Broadway remixed hit, while Rule came in with his verse towards the end of the song.